CURRIER & IVES. [GEORGE WASHINGTON]. Print. 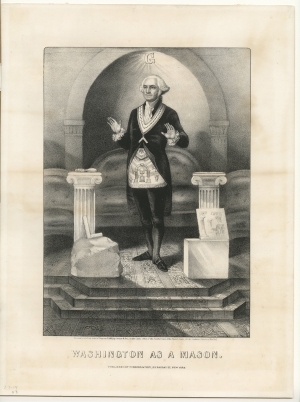 Washington as a Mason. Small folio lithograph, 1868. Black & white.